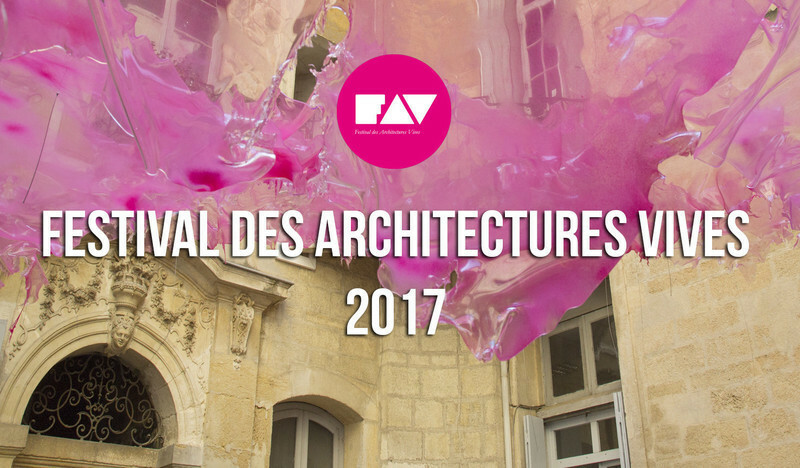 The Festival des Architectures Vives aims to raise public awareness of the wide range of architecture. 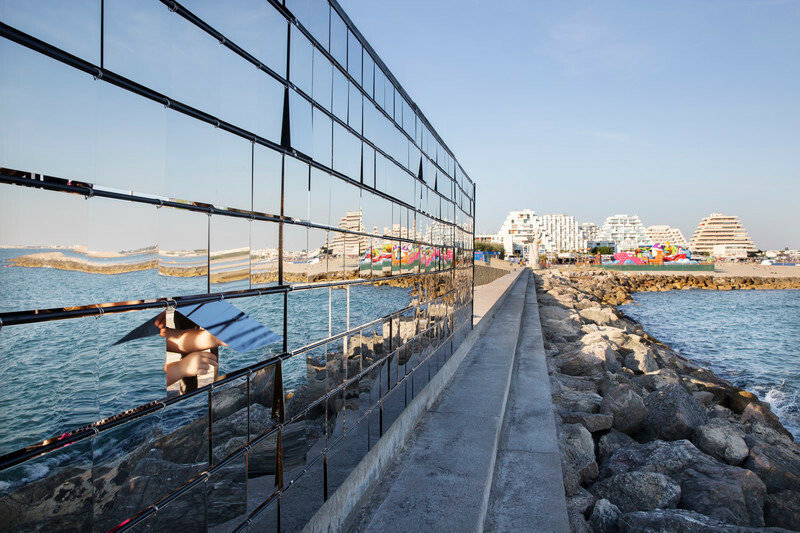 It seeks not only to highlight the work of a young generation of architects, landscape architects and urban planners but also to make discover unexpected urban areas. 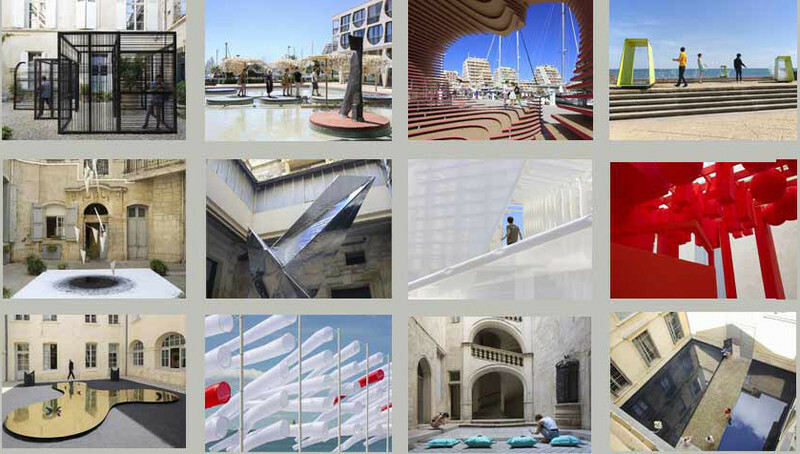 Through two urban courses, one in the historical heart of Montpellier’s town and a second in La Grande Motte, the public can discover works of contemporary architecture in unique sites and sometimes unknown from people. 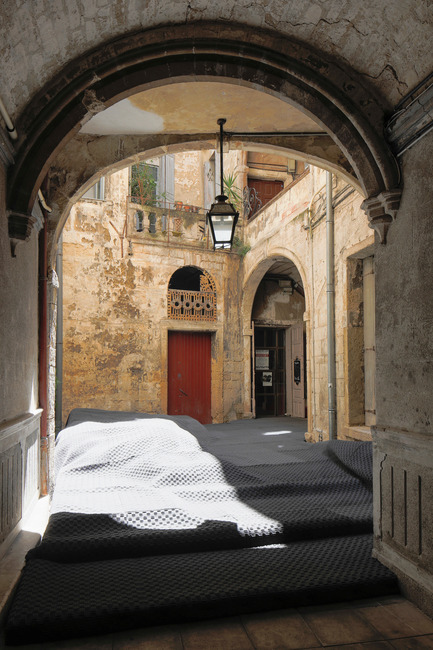 In Montpellier, courtyards of private hostels, usually closed to the public, open their doors during the festival. 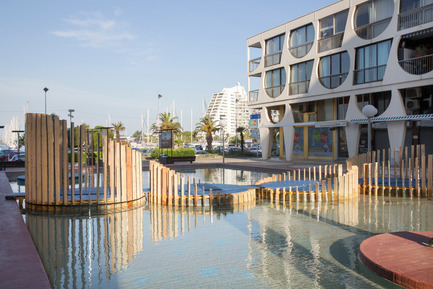 In La Grande Motte, the festival offers an urban course in the heart of Jean Balladur’s architecture, which caracterises this seaside town, recently approved “Heritage of the XXth Century”. 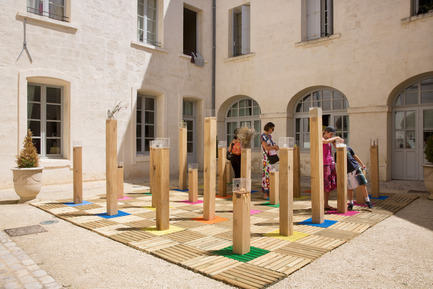 In 2014, the Festival des Architectures Vives invested 20 sites in total with 18 installations + 2 pavilions. 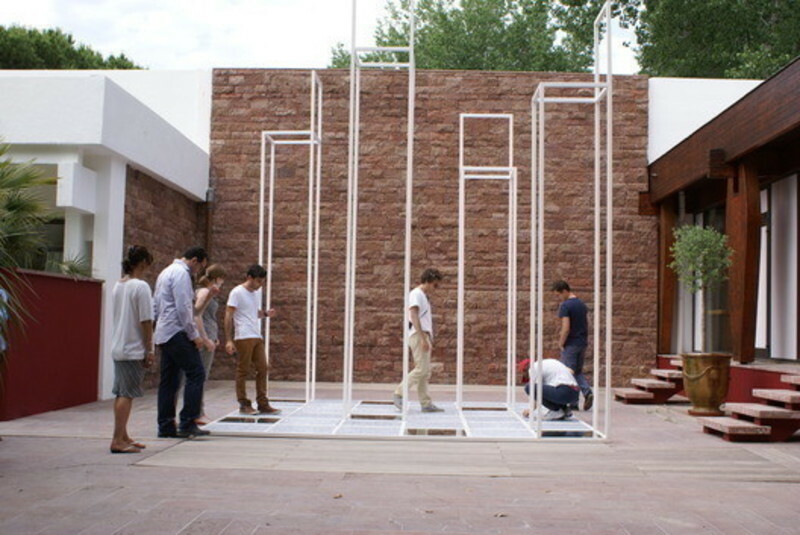 Many works allow interaction with visitors. 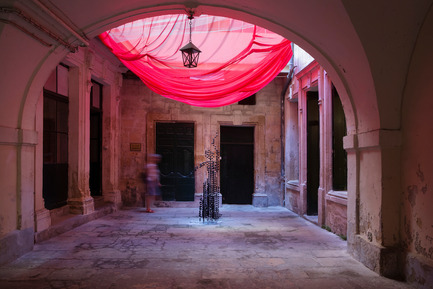 Leaving no physical trace, the festival seeks to make an impression, to initiate a global reflection on architecture and its development in existing urban context and finally, to create a dialogue between contemporary works and heritage. Mediators are present on each site. 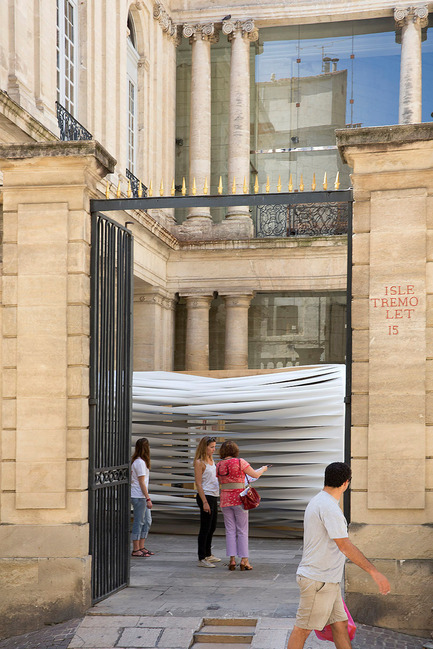 These mediators are students at the School of Architecture of Montpellier and they endeavour to strengthen appreciation of the works of the visitors. 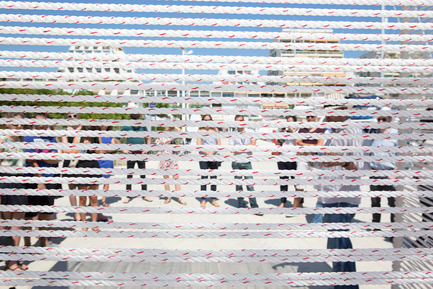 The event is free, this reflects the desire of opening architecture to the greatest number. 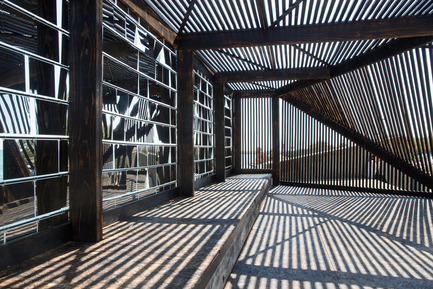 Realization of pavilion is entrusted to young architects exercising in the Languedoc-Roussillon region, where takes place the festival. 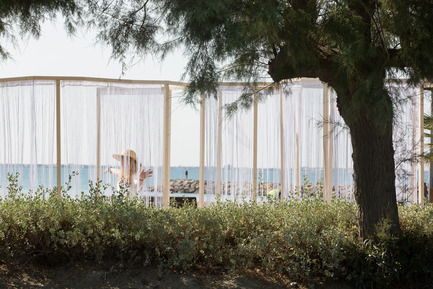 In 2014, Pavilion of FAV in Montpellier was realized by Atelier NH, made up with Laura Nargeot and Aurélie Harlin who got the Jury Price in La Grande Motte in 2013. 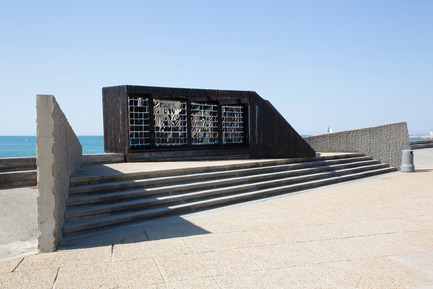 The Pavilion of La Grande Motte’s edition was designed by Atelier Jérôme Lafond, made up with Jérôme Lafond and Marion Pujol. 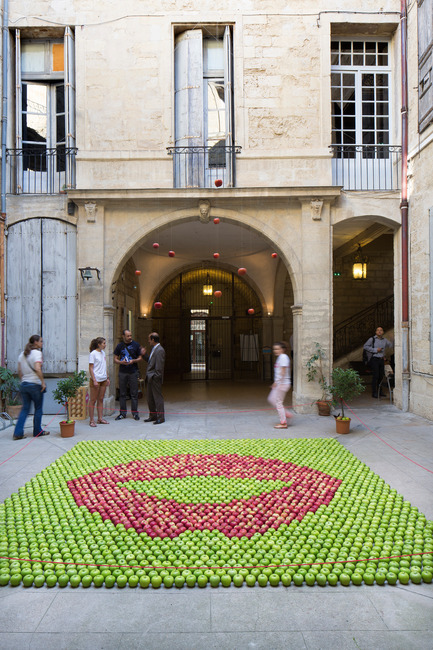 Smell of thyme, taste of fresh fruits, flamenco music, path through soft curtains… In june 2014 took place the 9th edition of the Festival des Architectures Vives on unique urban territories. 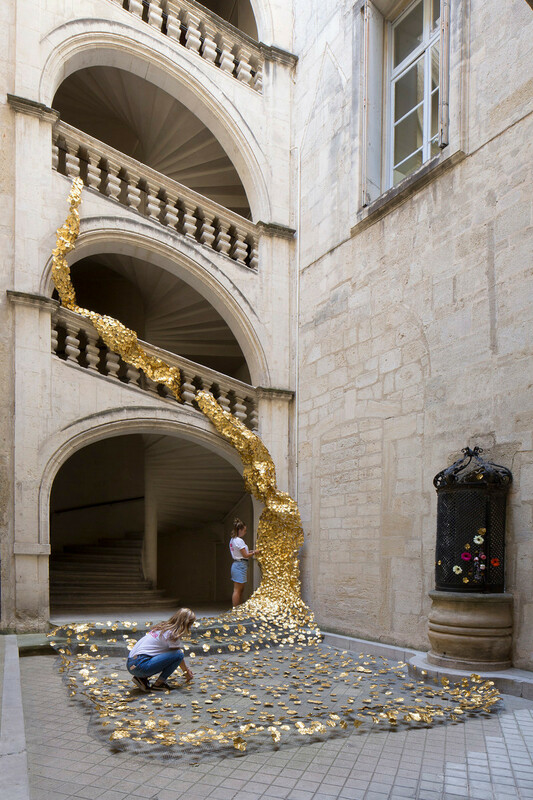 In Montpellier from the 11th to the 15th of June 2014, on theme of Sensuality visitors had the joy of touching, smelling, tasting and above all they had much of pleasure strolling in the town. 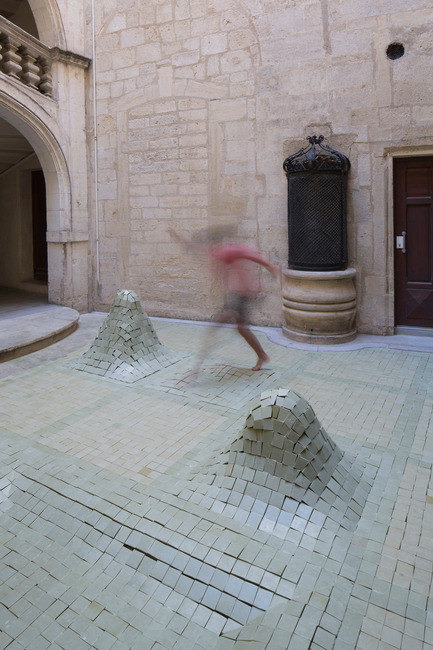 The Public price rewarded “Cache-cache”, the work of Johana Boktor, Marie Béniguel and Frédéric Madre, the Jury price was given to the MoonWalkLocal team for “Savon[s]” and a Special Mention was granted to Alban Guého and its work “Medusa”. 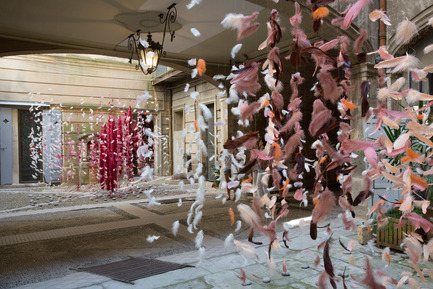 Teams who create the ephemeral works are selected after a call for submissions launched in september. They come from France and from abroad countries. 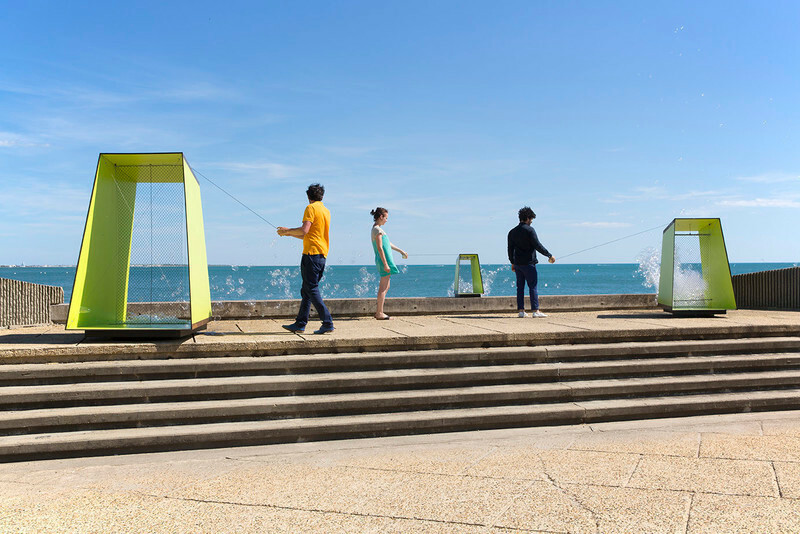 Regarding the Pavilions’ architects, they are exercising in the Languedoc-Roussillon region, where takes place the festival. 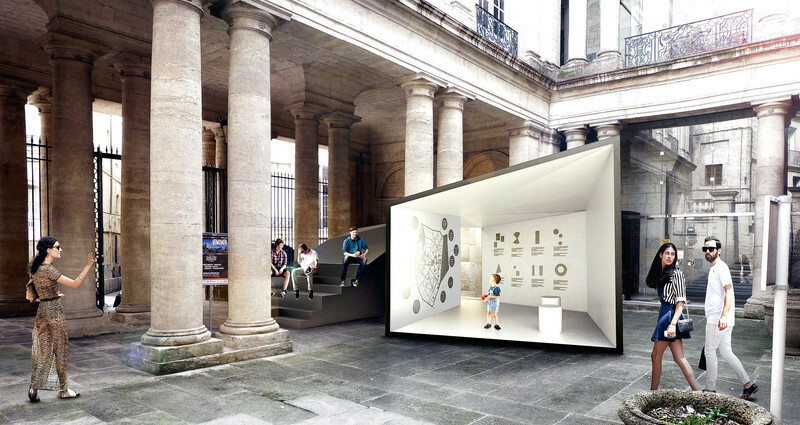 Finally, every year, a university is invited; in 2014 the Institute for Advanced Architecture of Catalonia (IAAC) came from Barcelone. 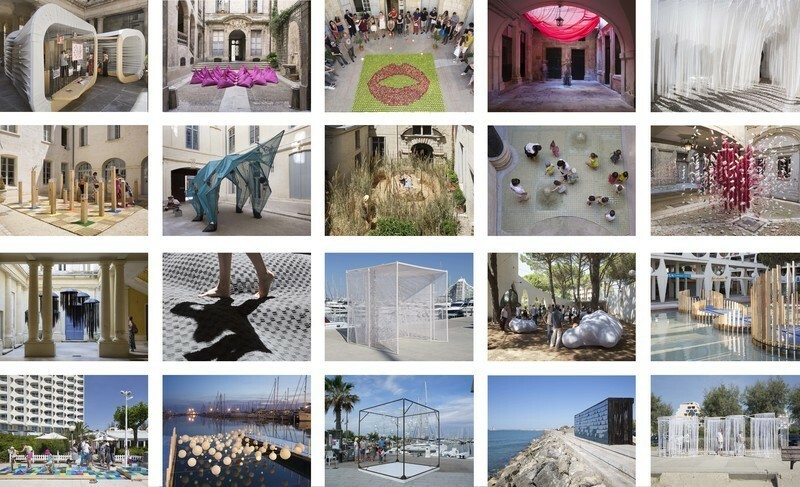 Garden of soft clouds, hanging garden, lace on the sea, plaiting, moiré effect… In june 2014 took place the second edition of the Festival des Architectures Vives on unique urban territories. 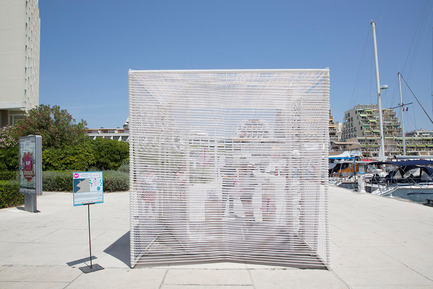 In La Grande Motte from the 21st to the 29th of June 2014, on theme of Sensuality visitors had the joy of touching, smelling, tasting and above all they had much of pleasure strolling in the town. 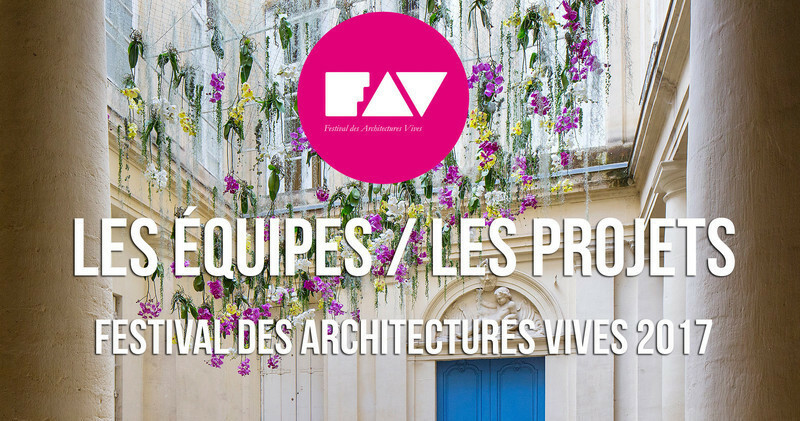 The Festival des Architectures Vives aims to raise public awareness of the wide range of architecture. 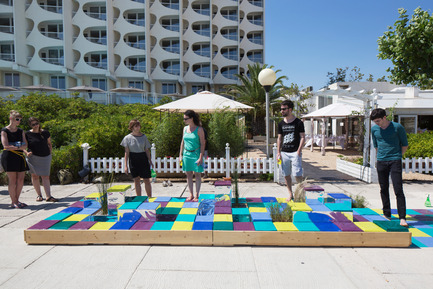 It seeks not only to highlight the work of a young generation of architects, landscape architects and urban planners but also to make discover unexpected urban areas. 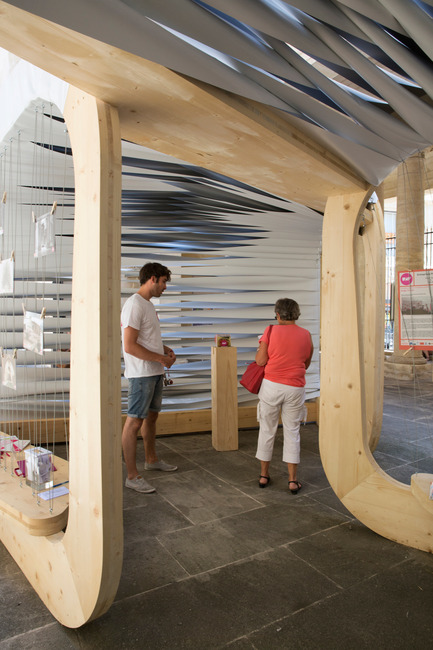 In 2014, the Festival des Architectures Vives invested 8 sites in total with 7 installations + 1 pavilion. 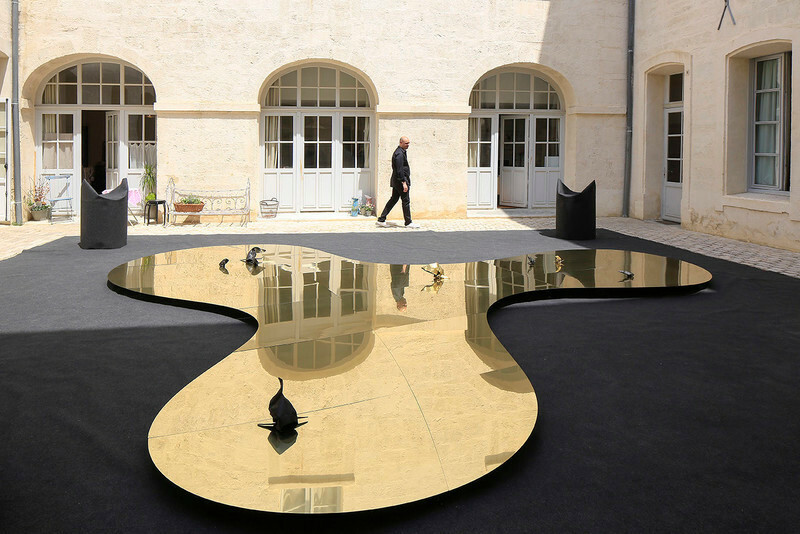 NAS Architecture was reward two times: ones by the Public price and twice by the Jury price. 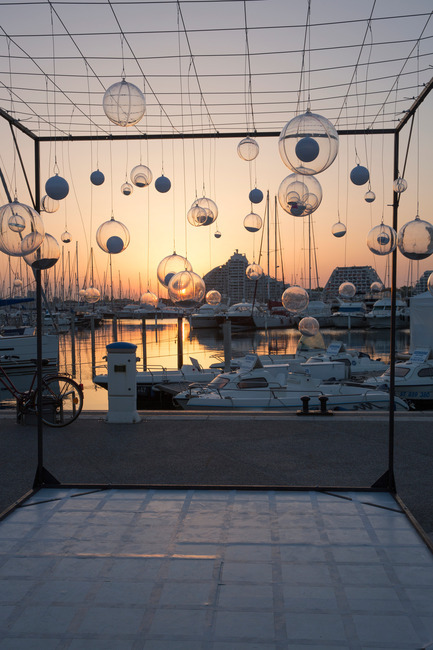 They had created “Breath Box”. 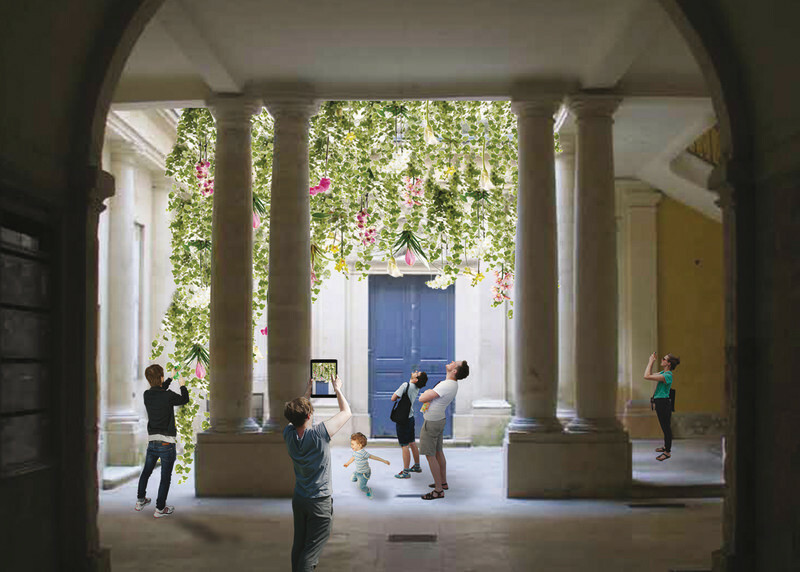 A Special Mention was given to Marion Moustey and Alexandre Arcens for “Onde sensuelle” and a second Special Mention went to Dots, the American team behind the “Cloud Garden” project. 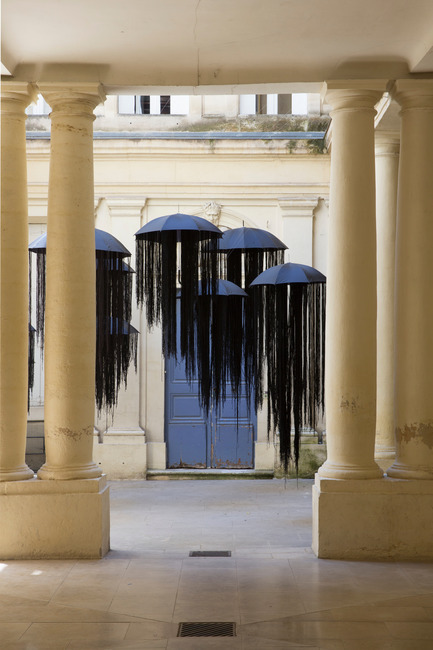 Teams who create the ephemeral works are selected after a call for submissions launched in september. They come from France and from abroad countries. 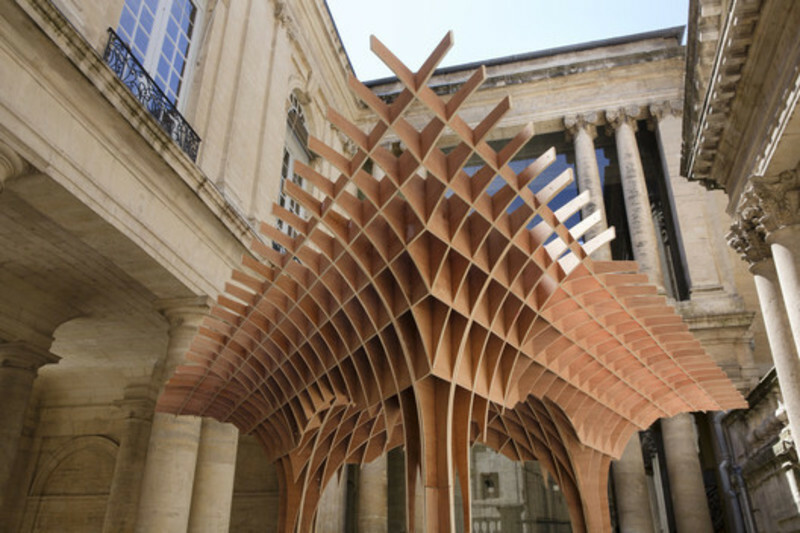 Regarding the Pavilions’ architects, they are exercising in the Languedoc-Roussillon region, where takes place the festival. Sensuality is induced for us, it is suggested; It belongs to felt. It is an evocation of sensuousness, softness, fluidity and flexibility and reminds us waltz reeds whipped by the wind or the curves of the womanly body… We have chosen to be inspired by the Haute Couture and its mission to shape figures. Christian Lacroix has brought up to date an accessory to the less become a sensual object and made it a base of his art: the corset. 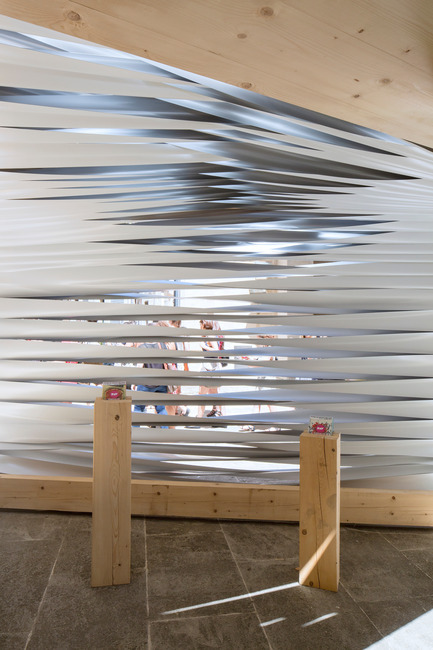 Real architect of the body in its ability to highlight and accentuate curves, the corset, like skeletal structure, is the object of our inspiration for this pavilion 2014. 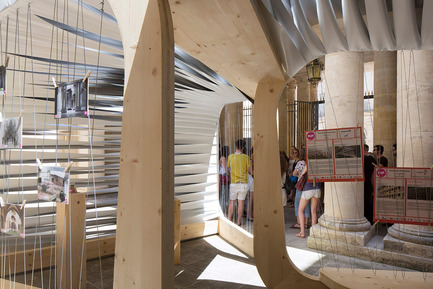 At the level of the court, this project reveals a weaving architecture where wood frames function as generators of curves. 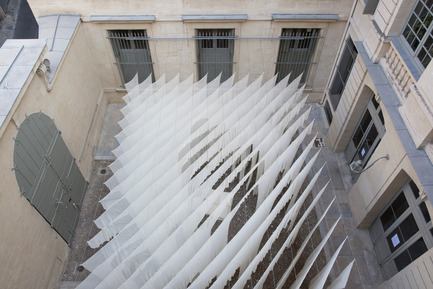 A particular work is given to weaving a membrane, where the effects vary depending on the shapes of the generators. 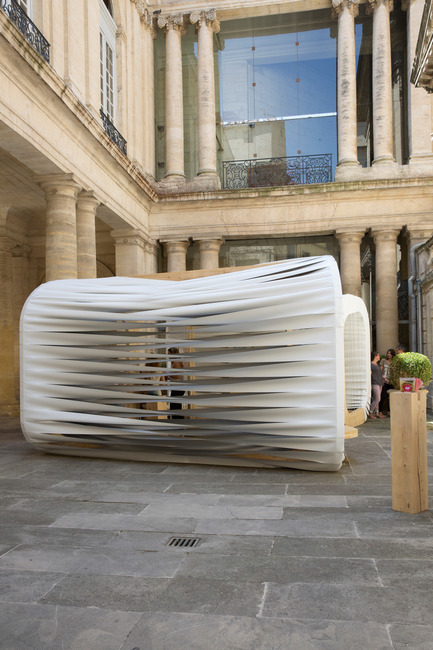 Determined by this breading, the volume of the pavilion is revealed in its curve and its sensuousness, evoking plaited laces of a corset. 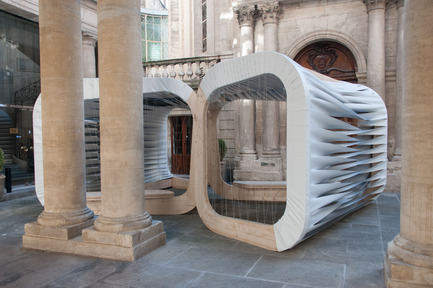 Within the court in both covered and opened, with columns that encourage perambulation, the project questions the inside/outside, by its volume that becomes a filter for light, look, the course and the heart of the pavilion. 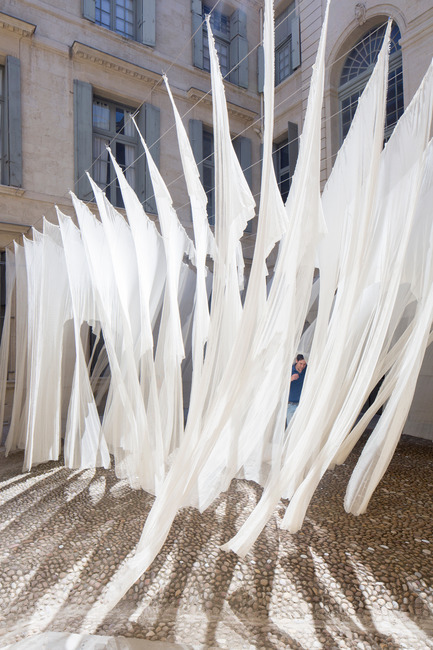 Through its sensual forms, the Weave Shape Pavilion, which combines optical games and shadows, welcomes you to present you the projects of the 9th Festival des Architectures Vives in Montpellier. 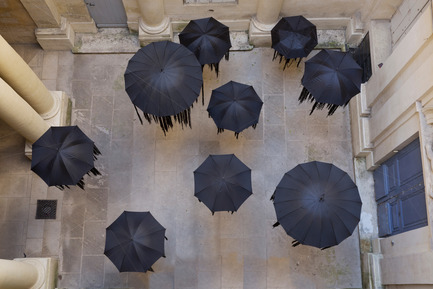 At first, Atelier NH is a meeting. 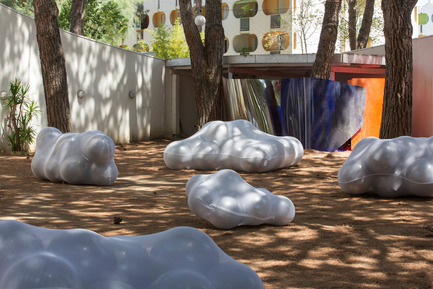 Upon entry to the Ecole Nationale Superieure d’Architecture de Montpellier, Laura Nargeot and Aurélie Harlin develop a special affinity built around a collective approach to think a project. 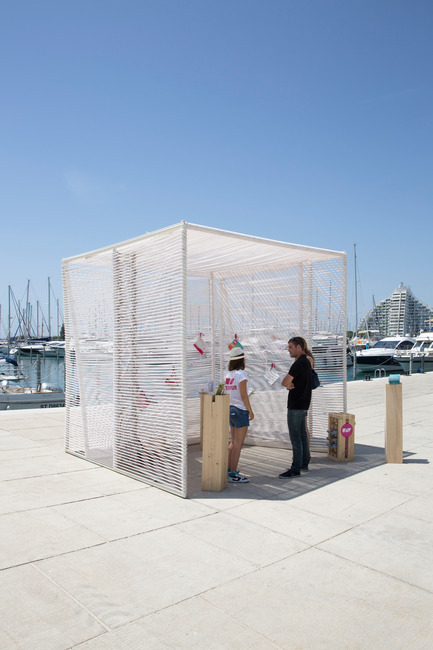 A workshop abroad, student projects, happy competitions … are all projects that have fueled the desire to form a duo. After receiving their diplomas in 2011 ENSA Paris Val -de- Seine (FR) for Laura Nargeot and EPFL (CH) for Aurélie Harlin, each feeds on various experiments. 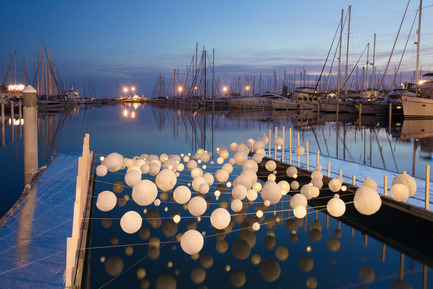 One working in Montpellier, the other in Lausanne, they maintain mutual exchanges that are more rich and inexhaustible. 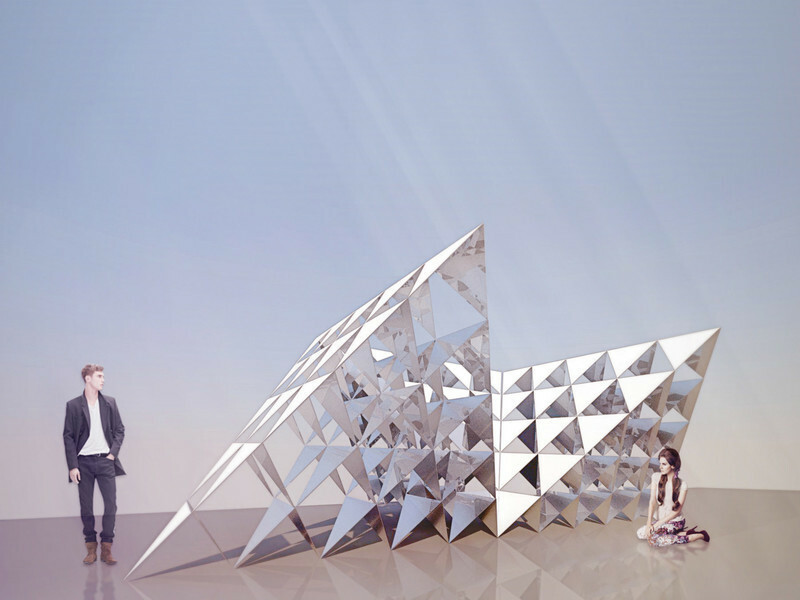 After their participation in the FAV 2013, the two young architects decided to unite their skills. 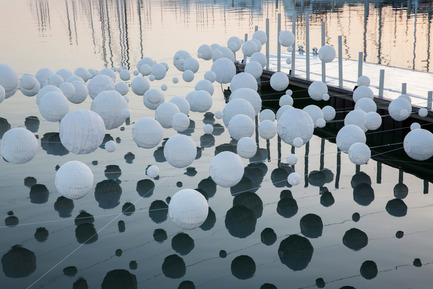 Therefore, Atelier NH is created. 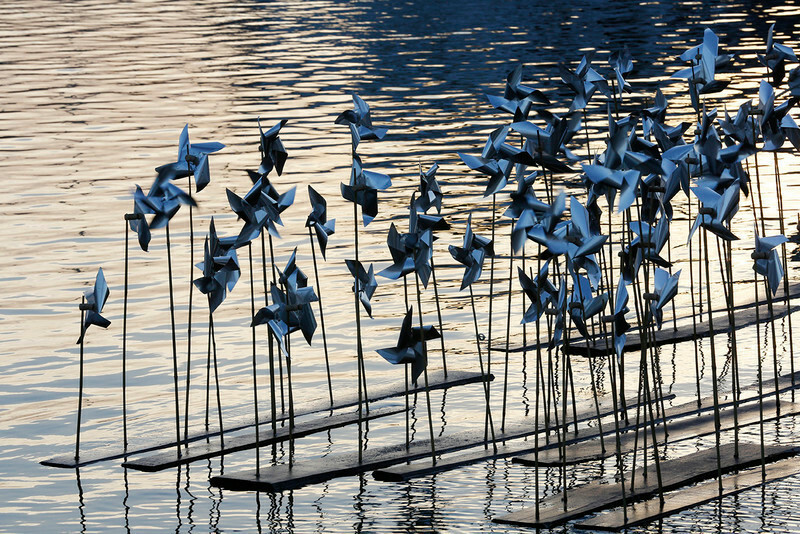 Drawing inspiration from a variety of fields, their duo is organized around a common sensitivity where their skills are complementary. 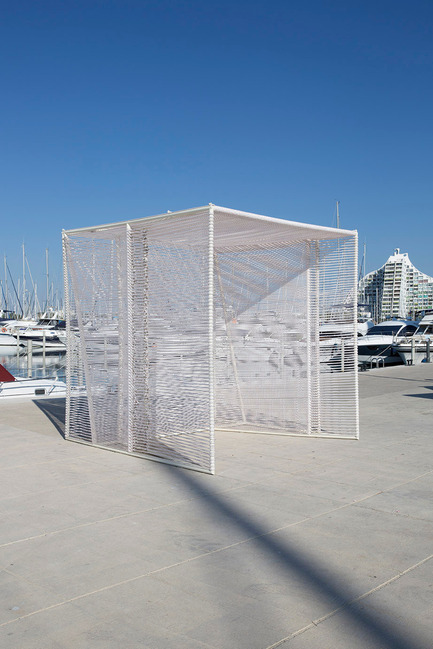 Their approach tends to think of Architecture as primarily a constructed environment where the spirit of the place is naturally important. 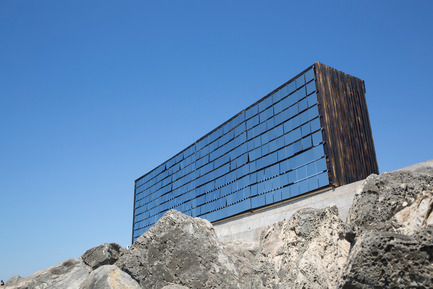 In this context, their approach defends an authentic architecture, that linked to its context, carries a story to tell. 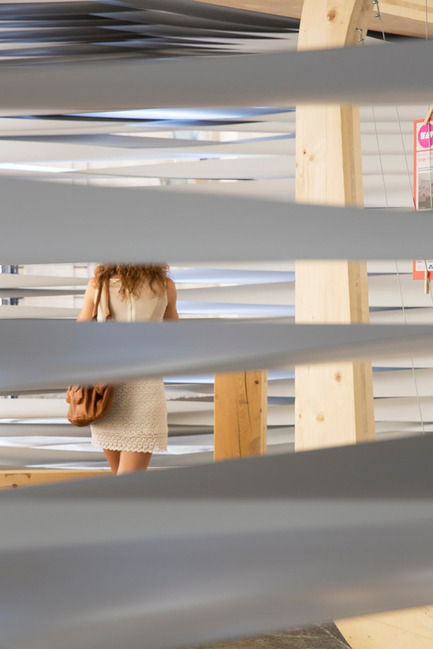 The realization of the pavilion of FAV 2014 edition gives them the opportunity to present an architecture and his history centered around the issues that affect us all: space, full and empty. 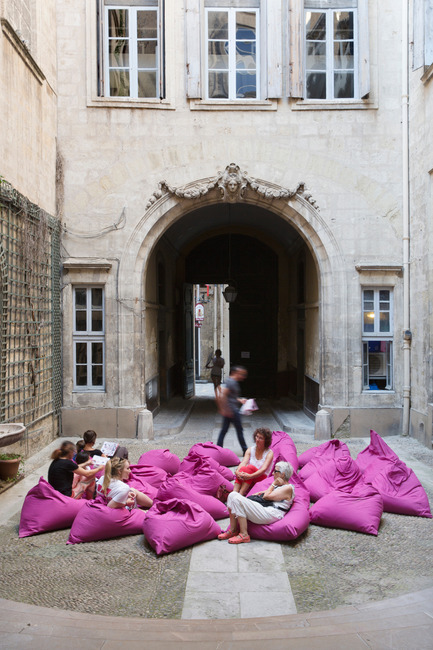 Jerome Lafond is an architect and town planner in Montpellier and graduated from the Ecole d’Architecture de Clermont Ferrand in 2006. 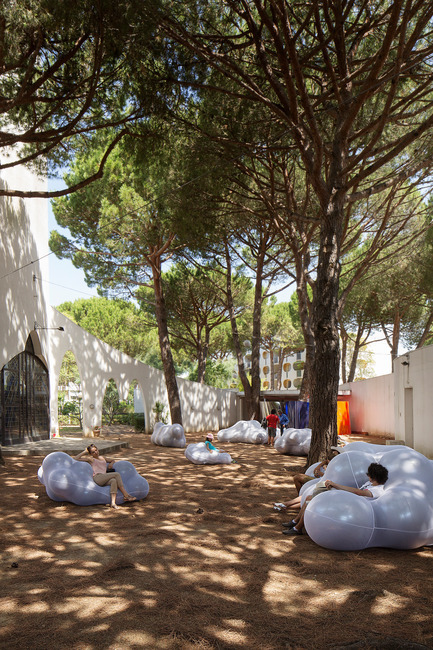 Therefore, he joined the agency Obras architects in Paris as head of architectural and urban projects. 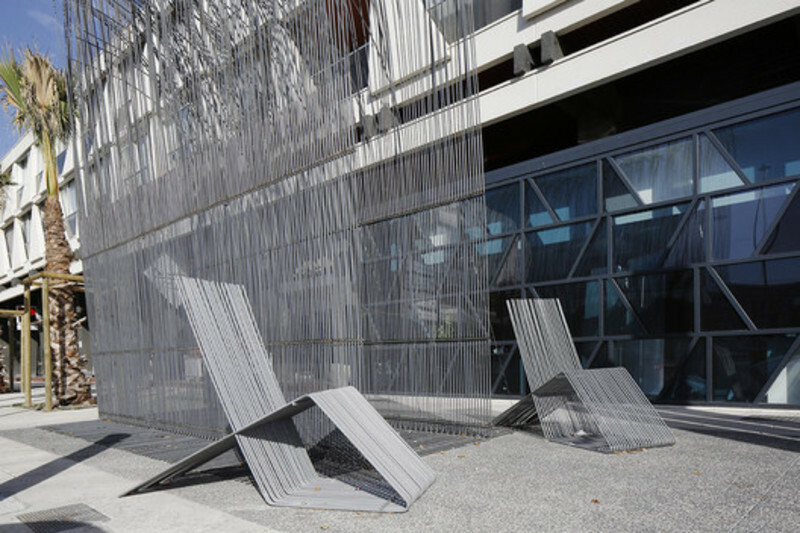 In 2008, he participated and wan with the Collectif MILIEUX architectes, the international EUROPAN9 competition in Andenne, Belgium. 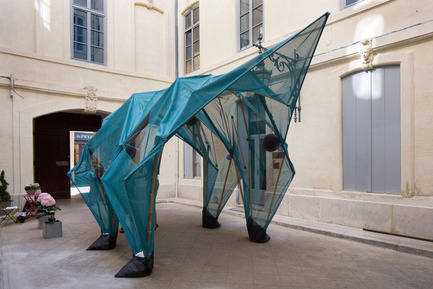 In 2009, he founded the Atelier Jerome Lafond and collaborates with other agencies such as Atelier Marc Barani, Studio Muoto architects or SOA architects. 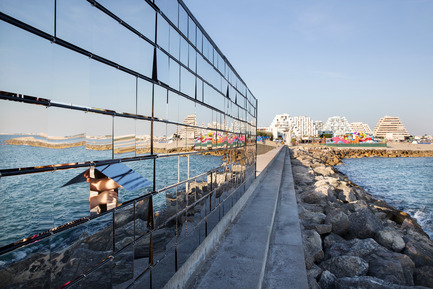 The philosophy of the Atelier resides in the ideology where architecture, urbanism and landscape are inseparable from the reflection of the project, interweaving scales thought gives clear and consistent rule of bias reasoning in across the territory of the architectural detail. 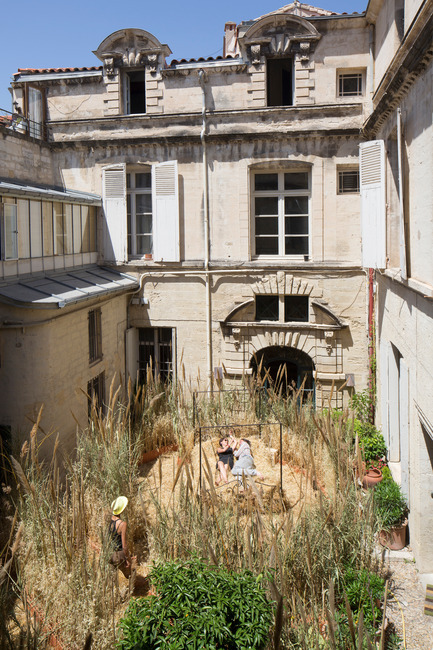 Meanwhile, Jerome Lafond teaches studio at Ecole d ‘Architecture de Clermont-Ferrand from 2006 to 2010 and since 2012 in Montpellier. 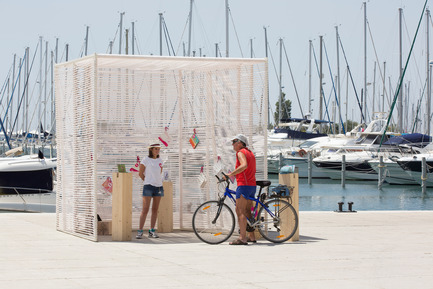 This is accompanied by Marion Pujol urban architect they realize the pavilion host of the second edition of FAV at La Grande Motte.